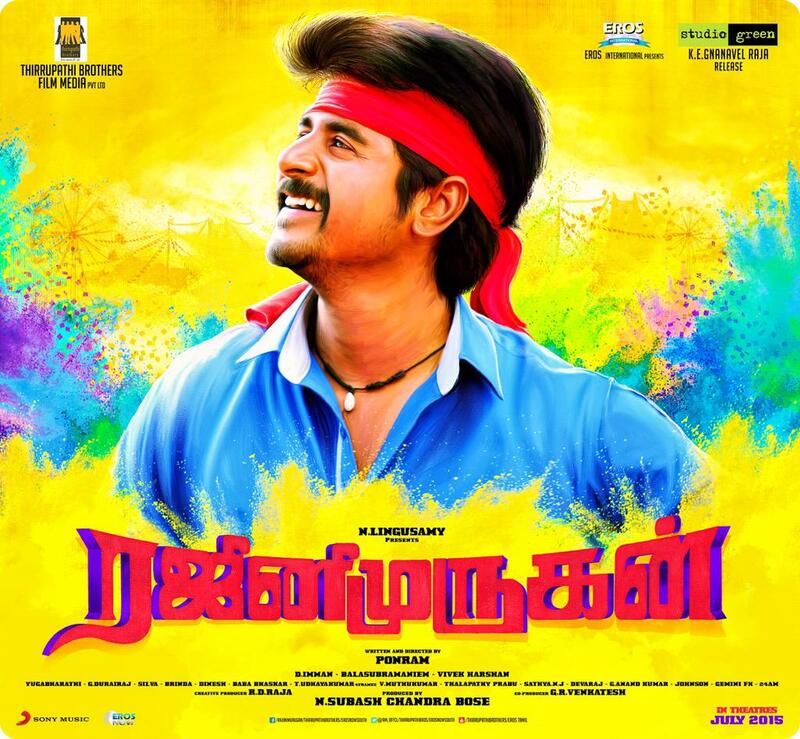 The first look poster of Sivakarthikeyan's upcoming Rajini Murugan was launched on Saturday, 25th April at 6 pm. It was a simple and colorful design featuring a charming and smiling Siva with a red ribbon on his head and sporting a blue shirt. The look was reminiscent of his 'Varuthapadatha Valibar Sangam' make-over and Sivakarthikeyan has touch of Rajinikanth's 80's style. The response from fans was tremendous and very quickly a trending phenomenon all over the country, on Twitter. Siva's fandom continues to grow with a loyal band of followers in social network. The star was apparently humbled by the response and took to his Twitter to address all this love, and also about the Rajini factor in the title. Thanks to all for ur response for the #RajiniMurugan first look..Tis VVS team needs ur support always. 'Rajini Murugan' is directed by Ponram of 'Varuthapadatha Valibar Sangam' and has Sivakarthikeyan and Keerthi Suresh as the lead pair with Samuthirakani, Raj Kiran and Soori in supporting roles. D. Imman takes care of the music. Audio release of the ‘Rajini Murugan’ will be on the 7th of June and will hit the screens on the 17th of July. The shooting of Rajini Murugan is happening in and around Chennai at a jet speed.